Having made something of a speciality of unusual hour displays, from jumping hours to chain link vertical indicator, Hautlence has just unveiled the HL Sphere that features a novel hour display on a rotating globe. First hinted at with the double-sphere HL Kinetic Clock shown at SIHH 2019, Hautlence has paired the spherical hours with retrograde minutes, which marks the first appearance of the HTL 501-1, the eighth in-house calibre developed by the brand. 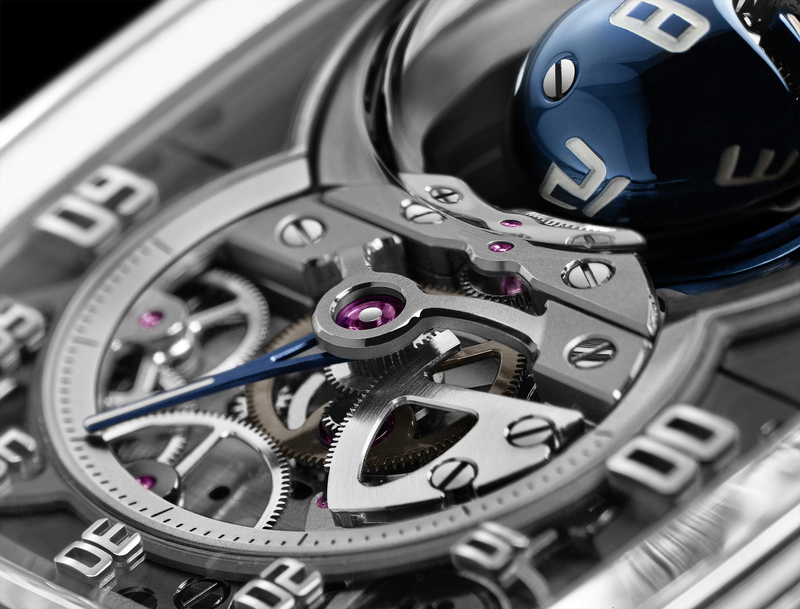 The watch has the spherical hour indication on the left, with 12 engraved numerals on a sphere made of two halves in blue PVD-treated titanium. Operated by a differential within, the sphere is only anchored only on one side, leaving it seemingly floating in the case. Jumping at the top of every hour, the current hour is read from the numeral shown in the centre of the sphere. While the white lacquer-filled hour numbers are randomly scattered across the sphere, the globe is in a fixed position and rotates on itself in a fixed sequence on three axes, dictated by four conical gears meshed against two crossed spindles inclined at 21 degrees. The 180° sector retrograde minute indicator has an open dial that reveals not just the gear train, but also the rack and spring used to trigger the jumping hour. The minute display is executed in the same style as the spherical indicator, in grade 5 titanium with a blue PVD treatment and white lacquer filling. The HL Sphere utilises the brand’s signature television-shaped case in the same size as earlier models in the HL series, 39mm by 46mm and stands 12mm high. 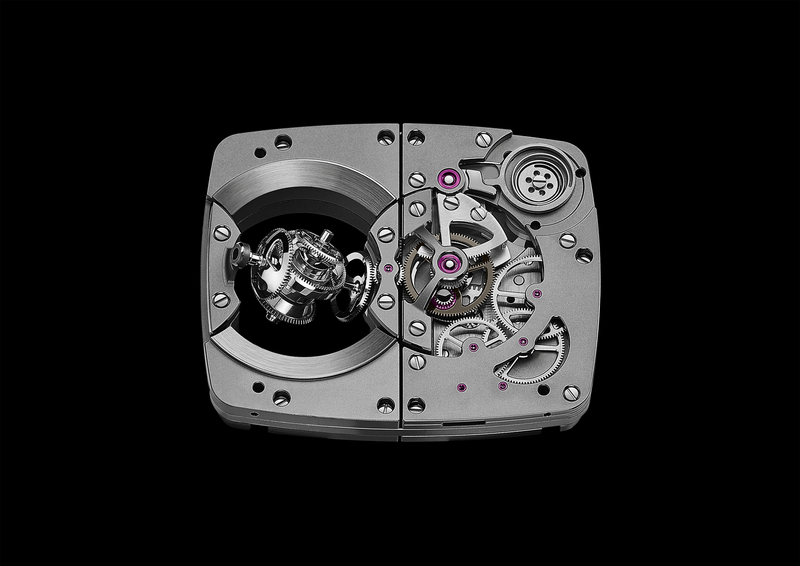 While the dimensions are unchanged, the case has been reworked with a wider dial opening for visual effect. 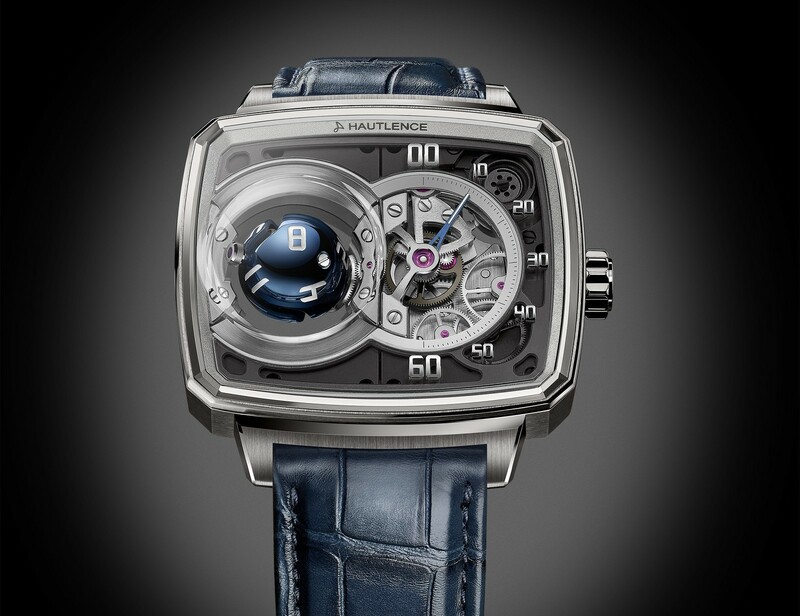 It’s in 18k white gold, with the case middle and bezel having a combination of brushed and polished surfaces. 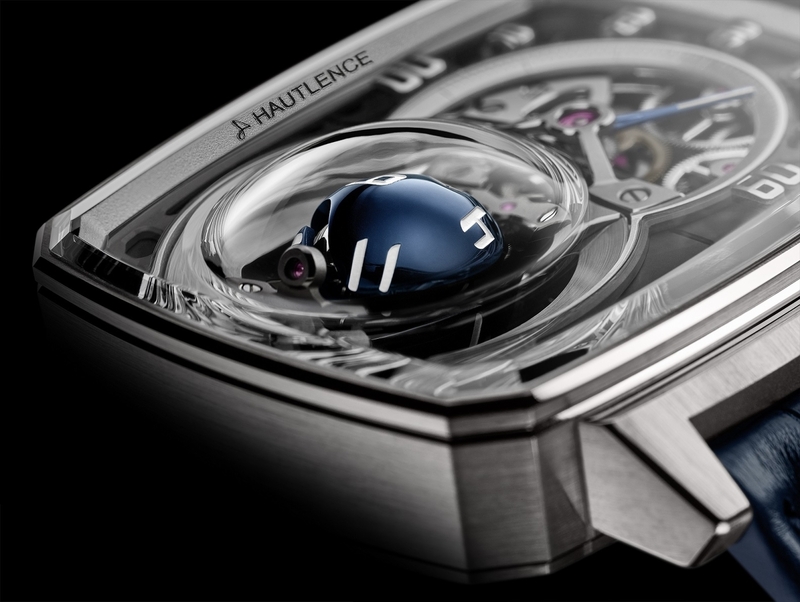 The Hautlence HL Sphere is limited to 28 pieces, priced at SFr99,000, or 150,000 Singapore dollars, and will be available starting end-April. Affordable fired enamel in midnight blue - plus a regular production model for Japan. According to CEO Nick Hayek.